Duke of Edinburgh's Expedition McKinlay cairn, Lake Massacre, SA. McKinlays grave, Willaston Cemetery, Willaston, SA. McKinlay memorial, Murray Street, Gawler, SA. McKinlay memorial, Landsborough Highway, McKinlay, QLD. McKinlay memorial, Kennedy Highway, Middleton, QLD. 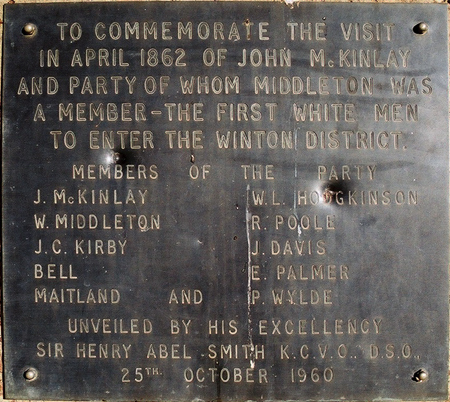 Erected by many colonists as a memorial of John McKinlay. A chief amongst Australian explorers and leader of expedition in search of Burke and Wills, 1861. 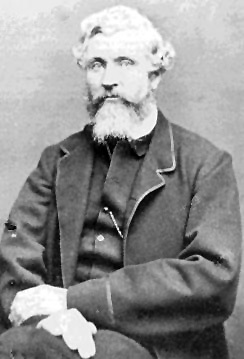 Born at Sandbank, Argyleshire, Scotland, August 26th 1819. Died at Oaklands, Gawler December 31st 1872. Brave yet gentle resolve yet unassuming. Formed to command, yet stern to none who knew to obey. He was at once admired and loved. To his country he has bequeathed a name which she may proudly add to the dead roll of her distinguished men. 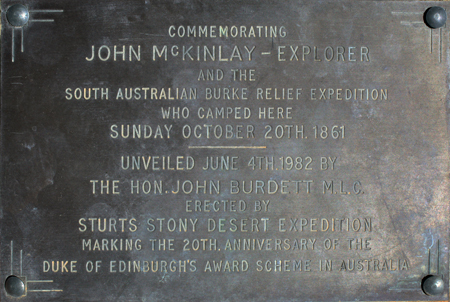 TO THE MEMORY OF EXPLORER JOHN MCKINLAY. 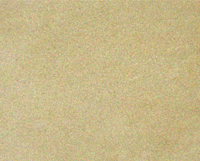 the missing Burke and Wills expedition. John McKinlay and party with horses, cattle, camels and sheep left Adelaide August 16th 1861, and traversed this district naming mountains and rivers en route to the Gulf of Carpentaria whose tidal waters were reached May 20th 1862 thereby completing the first and greatest Australian Transcontinental droving feat. after which McKinlay Town was named. Erected by the McKinlay Shire Council 1960. McKinlay Memorial, Lake Massacre, SA.